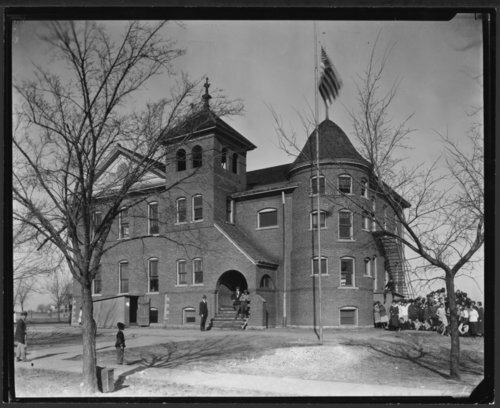 This photograph represents a brick high school in Moran, Allen County, Kansas. The school has two above ground stories, a basement and a turret with three above ground stories. Not included in the picture is a white wooden building on the property for third to sixth grade students. The school no longer stands in its original form and has been rebuilt.